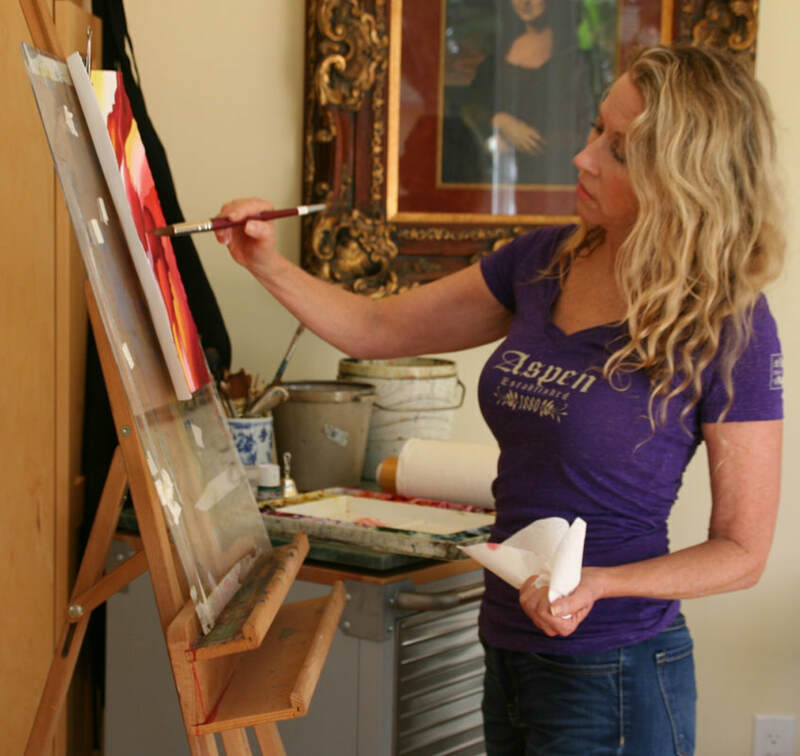 Born in San Diego and a graduate of San Diego State University, Jayne Spencer has been painting for more than 30 years and exhibiting throughout Southern California. Her father’s paintings and her degree in Graphic Design has strongly influenced Jayne’s work, focusing on strong bold lines, shapes, and color. She has also studied with Don Andrews, Timothy Clark, Ted Nuttall Tom Fong, Jeannie McGuire, and Arne Westerman, among others. Well known for her representational works, and more recently for her abstracts and portraits, Jayne ran her own gallery in Encinitas, and has exhibited in the Coal Gallery, the San Dieguito Off Track Gallery, the Del Mar Art Center, and with the San Diego Watercolor Society, where she is a member. She has won several awards, including Best in Show for Cowboy at the San Dieguito Off Track Gallery and the Logan Award and Golden Award for Maasai Boy at the San Diego Watercolor Society’s International Show. Today, Jayne teaches at a local Community College where she has taught watercolor painting for 10 years. She has also run workshops at the San Dieguito Off Track Gallery and the Encinitas Library. In 2017, she built her own studio where she now offers beginner, intermediate to advanced level watercolor classes for all ages, in a supportive, small class environment. She also offers weekend workshops for skill development. Each year Jayne donates an original watercolor or free watercolor class package to one or two of her favorite charities for auction. She has donated to the Challenged Athletes Foundation, Encinitas YMCA, San Diego Surfrider Foundation, Rancho Santa Fe Rotary Club, and Club St. James Academy in Solana Beach.